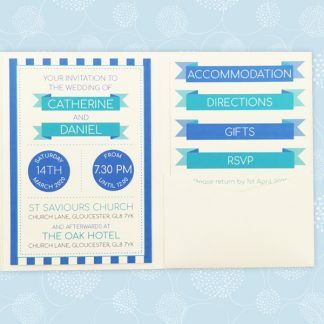 The Circus Festival wedding stationery design is perfect for a couple who are looking for a fun design. 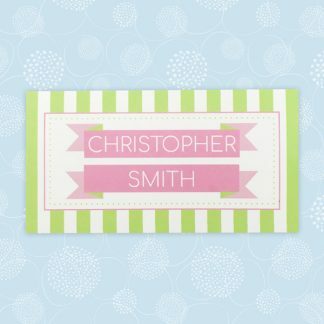 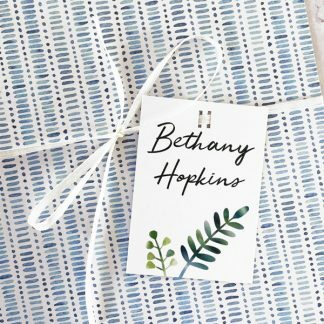 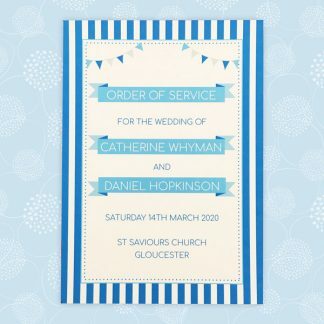 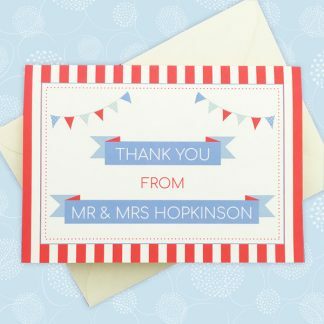 It features a striped background, bold styling and bunting. 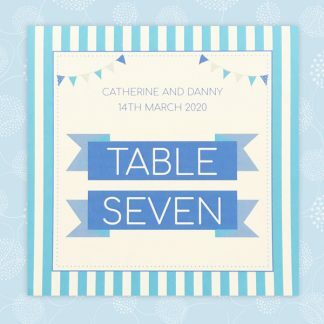 The colour scheme for Circus Festival is based on any two colours of your choice. 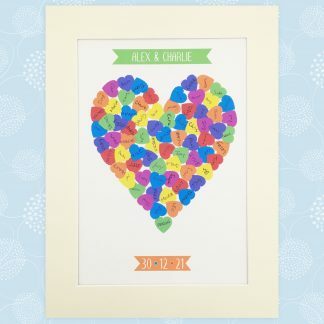 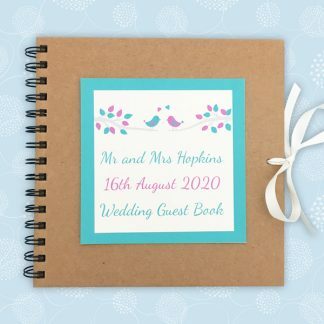 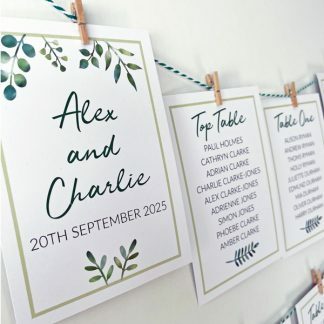 These can be chosen from the wedding stationery colour chart. 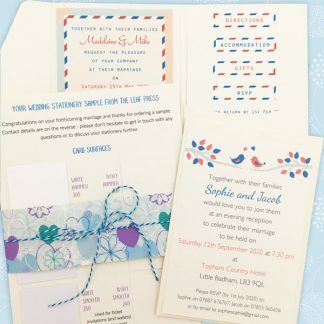 Bold colours work give your stationery impact where as pale or pastel tones create a sophisticated look. 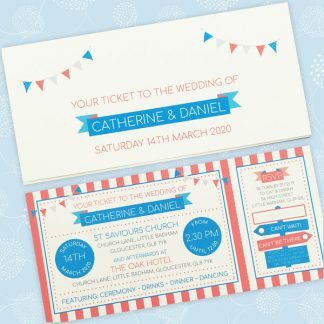 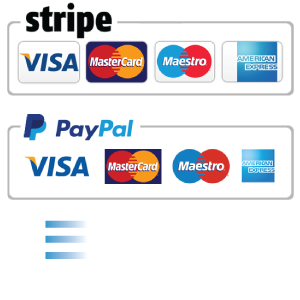 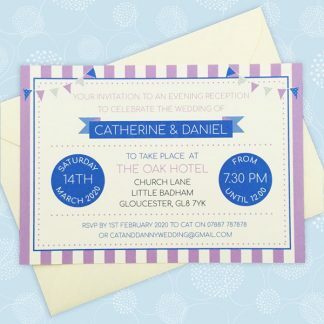 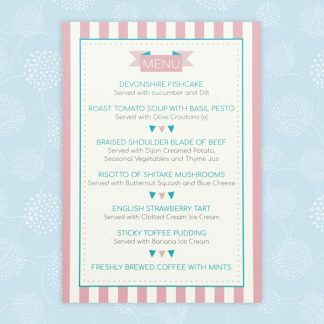 Circus Festival ticket wedding stationery is printed on ivory or white card, with the exception of pocketfold style invitations which have a textured ivory base.